I’m delighted to be here to help Kate celebrate her 50th book. 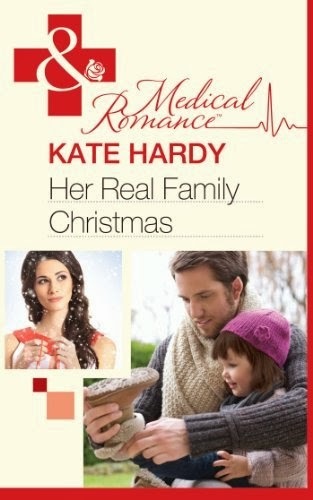 I consider myself really lucky to call myself a fellow medical author of Kate’s. Here’s why. 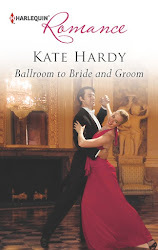 I found Kate Hardy’s books a few years ago. 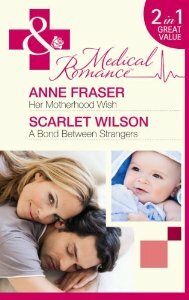 I loved medical romances and devoured them. Then, I found out she had a blog and started reading it. I’d decided to start writing myself and had joined the RNA New Writers Scheme. 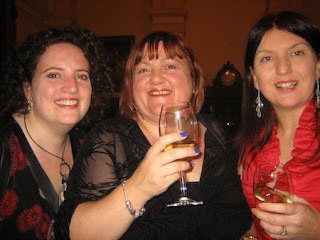 I was lucky enough to meet Kate the RNA conference in Greenwich in 2010. I was working with an editor at Mills and Boon by this stage and was undergoing revisions. Kate was very supportive and offered any help she could. A few months later I needed that support. I phoned her in tears to say I didn’t think I could do the revisions I’d just been sent. She was great and gave me some very sound advice which I followed. A few months later I got The Call. And I’m sure if Kate hadn’t talked sense to me that day it could all have ended very differently. Now, the GIVEAWAY! Leave a comment on the blog and I’ll come back in a few days and announce the winner of my latest release. Scarlet! I'm so glad you didn't give up at the pesky revision stage. That's often where the authors get separated from the aspiring authors and you made the cut! Revisions can be H. E. double toothpicks, but I'm sure Kate's sage advice helped you see the light. So happy you're on the MedRo team!